I love going to market. As a child I remember the weekly trip with excitement and awe. Each week our local market magically became brand new. A land yet undiscovered! Baby chicks one week, hens the next. Men threw fish about. Women haggled over the quality of fruit. Children were lost and found and always the walk home with a freshly baked baguette carried- oh so carefully- as to not squash it, along with a knob of creamy butter wrapped in wax paper, and a pot of strawberry jam. We couldn’t walk home fast enough to put the kettle on and settle down to tea. 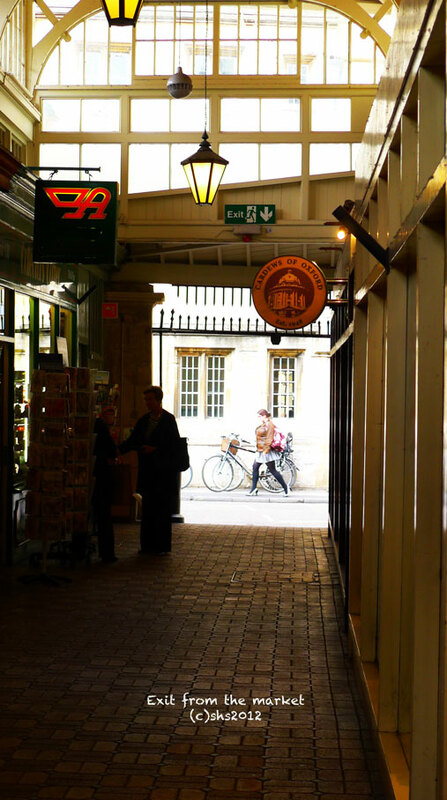 One of my favourite markets can be found in Oxford. 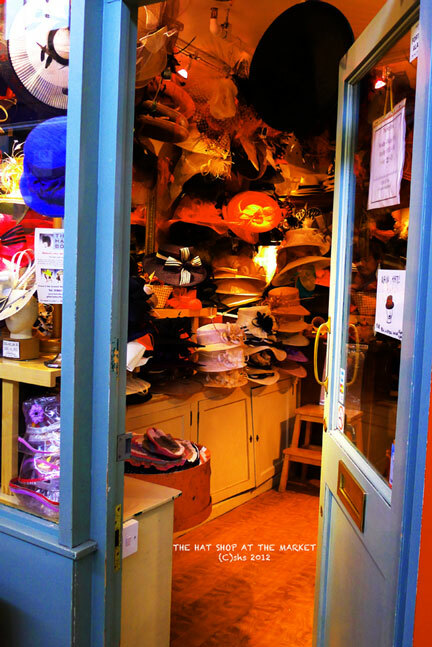 There is a fabulous hat maker where I bought a new waxed rain hat, and a shoe shop where I fell in love with my Irish Country Boots. But on this afternoon it was the organic butcher who grabbed my pocket-money! I fancied a little chicken that evening, fried up nice and crisp, a glass of wine! Sounds fabulous and oh so simple! So I popped inside the butcher shop and waited my turn, eyeing with horror the legs of chickens with golden feet still attached. Errggg… nails and all! It was now my turn. Can I have a leg of chicken please, and errmm, could you possibly take off that foot? I could not get out of my head the vision of the claws, or rather as I was now calling- utterly gross toenails. 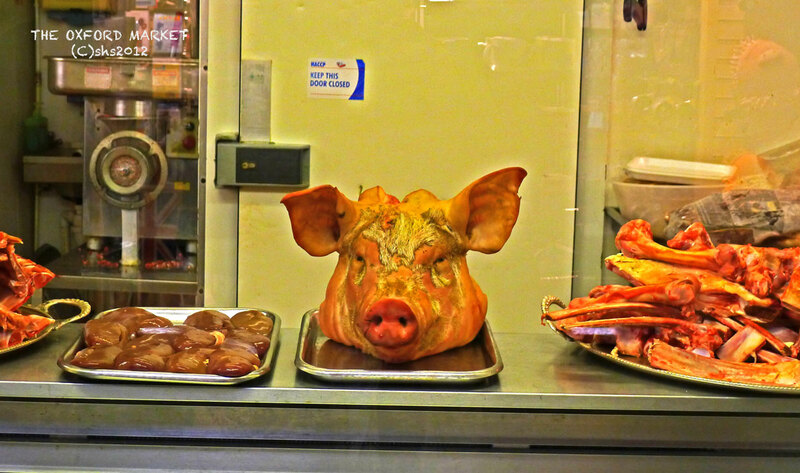 Londoners…do they all think meat comes wrap in plastic? I was already feeling too silly and wanted to declare- No, we know that chicken comes from nice farms! But as quickly as I mulled over the dullness of that intended retort, a sharp crack came from the his butcher’s knife and the foot was off. He turned to me, holding the yellow foot on a piece of wax paper. I furiously shook my head in fear he might actually hand it to me. By now I was committed to buying the chicken, but all desire to eat it was long gone. That make a good soup that foot would. What a crying shame to waste it! Disdain at my obvious city upbringing was written all over her face. I have no doubt she would be capable of doing in a chicken in one fell swoop and that her chicken foot soup would take all honours! 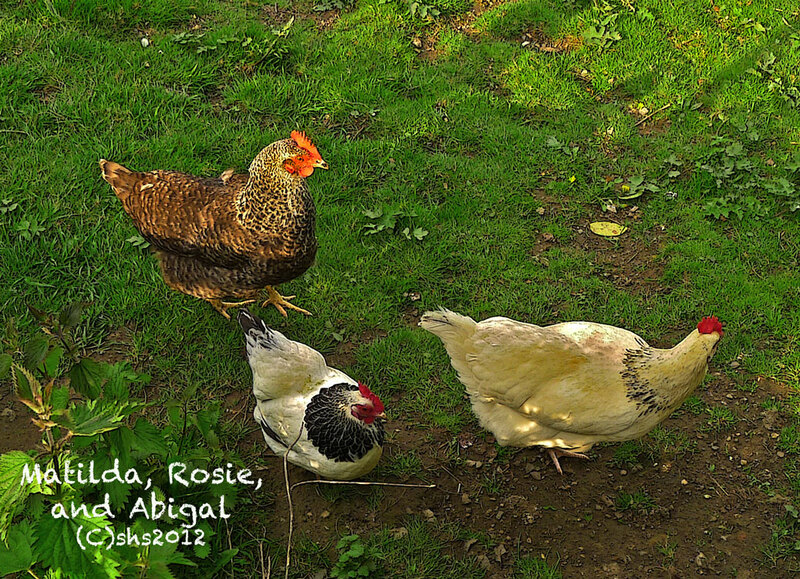 I on the other hand, would have named the chicken Matilda and treated her gnarly feet like a queen’s. She would never end up in my dinner pot, not when there was a perfectly good Marks and Sparks just around the corner! Matilda would always be safe in my hands. I’ll have her foot then. More money than sense, that one. Prior to the Market’s construction, the street was line with stalls of all sorts and the nasty debris they created. Pigs rooted about, Goldsmiths, leather traders, fruit and veg, and tinkers of all sorts crowded the area. The makeshift stalls halted traffic in the road as people and all sorts of animals milled about, and apparently not in a nice neat row. The street market pushed it way through the middle ages until finally in 1771, enough was enough. Fish Street ( modern St Aldate’s), Butcher Row ( Queen Street), were quickly condemned by the Oxford Mileways Act 0f 1771. Imagine…traffic control, and property condemning, 1771 style! Pack up your stalls and get out of here! A commissioner was appointed to demolish what remained of the city gate, widen the streets ( things don’t change with time!) and build new roads, all to build a new proper market. As soon as the market was built, selling items in the street became illegal. 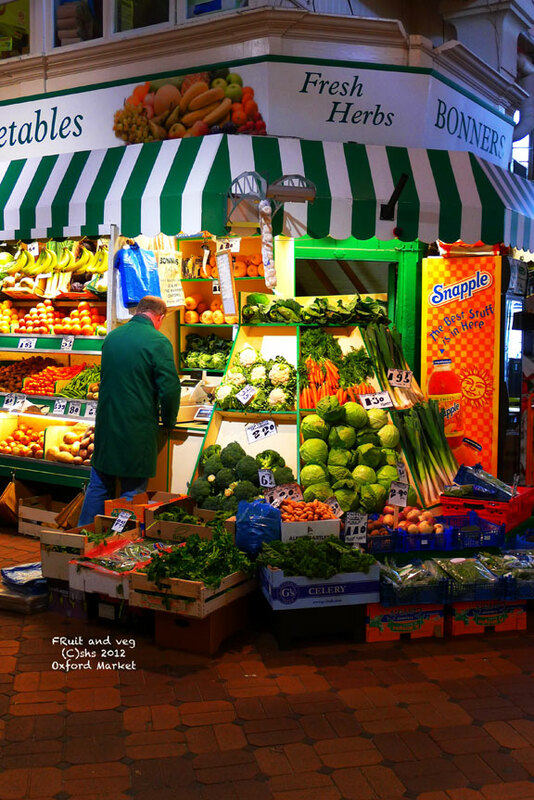 The market officially opened 1 November 1774. That sentence thrills me. I bought my boots in the same place someone might have bought leather boots well over a thousand years ago! I don’t know why that astounds and thrills me to bits, but it does! The market isn’t obvious from today’s street view. John Gwynn, the architect of Magdalen Bridge, designed the High Street Front with it’s four entrances. One entrance is via the Gold Cross ( from the Cornmarket) and then there are the three entrances on Market Street. I love sneaking in during a rain burst and having a mooch about. I can’t think of a better way to spend a rainy day other than popping into a market coffee shop for an espresso, dreamily staring at the sign bodly declaring, “High Class Butchers” and all the while wondering if there ever were any “low class butchers.” Best to avoid the whole subject and get on with the coffee. 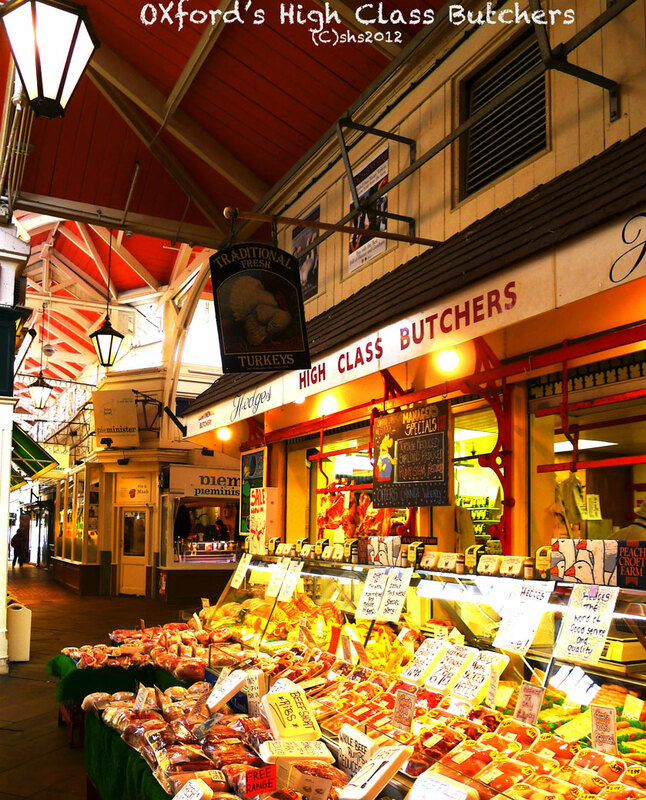 Gallery | This entry was posted in England and tagged Chicken, Cooking, Cornmarket, England, Gold Cross, High Class Butchers, High Street, History, Home, John Gwynn, Magdalen Bridge, Marks and Sparks, Oxford, Oxford Covered Market, Poultry, St. Aldate's, Street market, travel. Bookmark the permalink. You were in the Covered Market -today? So are you staying near here? Did you find the aisle with Two-Foot Nothing and the T shirts etc? I can’t remember the name of the little coffee shop but it had a sofa that I fell into. Just sank and had a hard time getting up! 🙂 How often are you there? Coffee is on! sounds like a plan. I’ll pop you an email when the time comes! I wish I could find a High Class Butcher………. 😉 I just don’t get it. It’s common useage though. I just wonder what on earth the low class butchers were like. I image..street butchers versus one with a proper shop and all. I might find the answer one day and post it! You have their voices just right, Susan 😀 There is a generation which never forgot the need to make do and mend during the war, and they’ve been preaching to me ever since. You forego that chicken foot, girl – I’m not sure high class butchers would generally offer them anyway!